After a rollercoaster year for the tech world, many industry leaders are looking to the cutting edge for salvation. As tech industry players converge in Las Vegas for the 2018 Consumer Electronics Show, an overriding theme is that gizmos, artificial intelligence, cloud computing and superfast internet connections hold answers to many if not all ills -- the new religion. 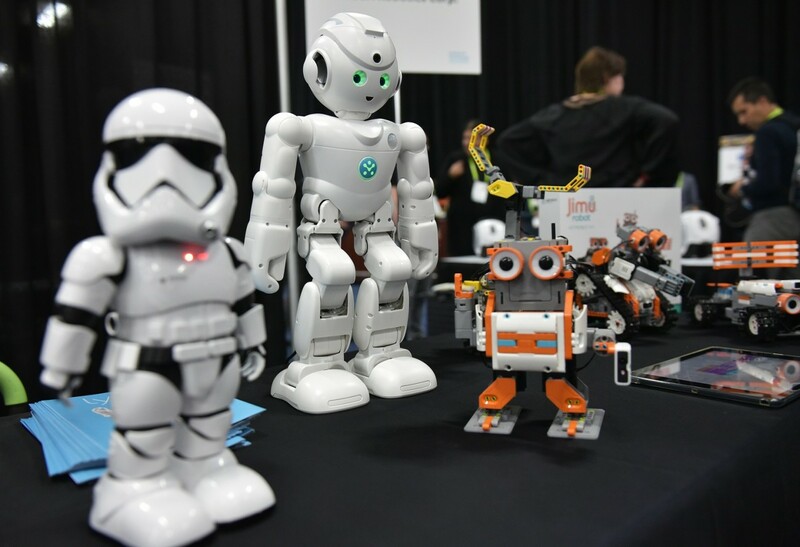 One of the world's largest trade shows, CES is drawing an expected 170,000 people and 40,000 exhibitors from dozens of countries showing wares in robotics, digital health, artificial intelligence, sports and more. 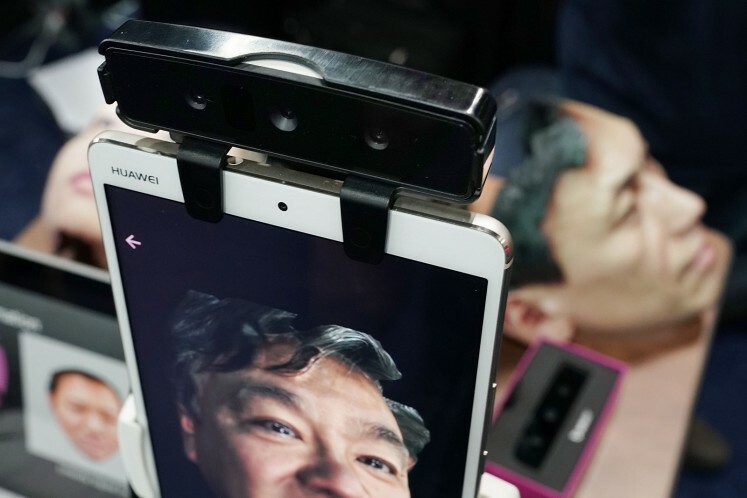 Technology will continue to improve communication, enchanting us with bolder and brighter screens, exhibitors say -- but it additionally vows to end urban congestion, treat cancer and depression, and help us live fitter and more productive lives. Jensen Huang, chief executive of the computer chip and artificial intelligence group Nvidia, said advances in machine learning have opened up vast possibilities, including the ability of software writing software. "This means we can solve previously unsolvable problems," Huang told a media event Sunday, ahead of the official Tuesday opening of the trade event. Some exhibitors envision a world where self-driving cars could be summoned any time of the day, eliminating struggles to find parking or petrol stations. Machines would tend to the tedium of traffic, which would run smoother since vehicles would wirelessly "talk" to one another to optimize travel efficiency. A new "intuitive and intelligent" car from Chinese startup Byton aims to tackle the billions of hours lost to traffic congestion around the world each year. Those times lost "could be used for things which are so much more fulfilling," Henrik Wenders, vice president of Byton, said Sunday at one of the first media events at the show. While tech is being touted as a solution to many ills, there is also a darker side, noted analyst Bob O'Donnell of Technalysis Research. "Tech is being seen as the cure for everything, but it can also be the cause of societal issues," O'Donnell said, citing concerns over cybersecurity and a recently revealed flaw in computer chip technology that could leak data. "Most people in tech are optimistic, but they may be naively optimistic." Robin Raskin, who heads the CES segment called Living in Digital Times, pointed to advances in health and medicine in recent years, particularly new technologies to assess cancer and treatment possibilities. Startups and major firms are also using new apps and technologies to tackle diabetes and depression. One startup on Sunday unveiled eye-tracking technology to analyze ailments including autism, concussions and Parkinson's disease. RightEye co-founder and chief executive Adam Gross heralded the technology as "a game-changer" for the health care and sports industries, emphasizing the ability to quickly and accurately generate "amazing insights" into health, vision and performance. In collaboration with doctors or trainers, the information could be used to guide therapies or exercise routines. "The potential for this technology to change people's lives around the world is incredible and really exciting," Gross said. Technology will automate and augment the treatment of disease in the years ahead, predicted Consumer Technology Association research manager Lesley Rohrbaugh. "You can talk with a health care provider through an app, and get remote monitoring," Rohrbaugh said, speaking at CES. "You can visit your doctor without actually physically visiting them." Virtual reality is also being incorporated into therapy, used to treat traumas, phobias and even dementia from aging, according to Rohrbaugh. As much of the global population migrates to urban areas, technology is powering "smart cities" -- where sensors, cameras and cloud computing work like house elves to manage needs like recycling, trash disposal, traffic, pollution and road repairs. Inside homes, devices can make sure water and air stay clean, and that people are sleeping well. Technology can also keep us safe, exhibitors say. Biometrics including fingerprint, iris and facial recognition are being built into smartphones, computers and padlocks as security features. Robots, meanwhile, are being designed to do everything from patrol oceans for fish poachers to watching after us, especially as we age.